It’s simple. Never stop learning and always be open to innovation. 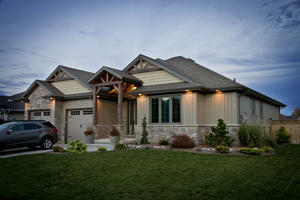 As an Energy Star builder we believe in using nothing but the best building has to offer. Insulated concrete homes and smart technology are just some of the many innovative solutions we offer. TMC Construction often supplies many other local contractors with ICF (Insulated Concrete Form) construction overseeing the energy saving application during construction. TMC is also a certified Energy Star Builder, and is a member in excellent standing with the Tarion Home Warranty Program and the Chatham-Kent Home Builders Association. TMC also ensures that every employee, sub-trade, supplier as well as designers that are involved in any of our projects are held accountable in adopting our mission statement – Professionalism at all times that produces honest, trustworthy relationships with each and every client. As this is a business we make it clear to all of our staff that we are professionals first and the project is to be done right the first time. Customer satisfaction only helps to build your trust as well as our business. We hope that you will look to TMC to build your next home and welcome you in contacting us for any further questions you may have.